Once upon a time, I worked full-time as news editor at a local daily newspaper. Every night, I beat deadline, and made sure those working around me did as well. Today, my sole limits on time are random days of my own choosing, but for the life of me, watching them drift slowly past is often all the effort I can muster. Which means there’s forever a jumble of words cluttering my mind. To my credit, a large freelance writing gig consumed most of my word smithing time until quite recently. Beyond that, I have absolutely no excuse. But if the world pops tonight, at least I’ve got this done. Today, nearly three months after the fifth meeting of the Central Coast Wine Press Tasting Panel, I’ve collected my pile of words into working order. On a very warm evening in late September, panel members regrouped at the Lompoc home of members Jeremy and Michelle Ball to taste sauvignon blanc. Followers of my wine tales know that this white Bordeaux grape is without fail one of my favorite varietals, and I do recall being very excited about what wines awaited us. As a refresher, we are: Michelle and Jeremy Ball, Bottle Branding; Katie Baillargeon and Marcel Rivera-Baillargeon, UCSB creative writing professor and online marketing specialist, respectively; Anne and Jason Burns, software entrepreneurs; Mark Cargasacchi, winemaker/owner, Jalama Wines and Joseph Blair Wines; myself and author Laura Sanchez, chronicler of wine and food for various local and national publications. Joining us this evening was Ashley Costa, Lompoc City Council member and tasting room manager at Loring Wine Company. Michelle Ball is but one of a handful of friends who can prepare and present food like nobody’s business. We enjoyed varieties of fine cheeses, breads, fruit and creamy homemade spreads designed to pair with the wines. And fried chicken. Just because Michelle is Michelle. The Balls had bagged seven wines, but divulged that they hailed from Sancerre, Chile, Marlborough, Mendocino County, the Santa Ynez Valley, Monterey County and the Edna Valley. I love the essence of “cat pee” that’s often strongest in some of Marlborough’s finest sauvignon blancs. That characteristic is strongest in cool-climate terroir, i.e., Marlborough versus the Santa Ynez Valley. The Paso Robles Wine Country Alliance announced in November that it secured the Los Angeles-based creative marketing firm David&Goliath to help “brand” the Paso Robles American Viticultural Area. Following its search, the alliance found that “David&Goliath proved to best understand Paso Robles and its needs as we embark on an exciting, new brand strategy,” said Jennifer Porter, executive director. The top official at David&Goliath says the feeling is mutual. “We’re excited about the opportunity to partner with the Paso Robles Wine Country Alliance not only because we are huge fans of great wine, but also because they have a true entrepreneurial spirit and are bold enough to embrace it,” said David Angelo, founder and chief creative officer of David&Goliath. The agency has been the creative voice behind successful ad campaigns for many national companies, among them Kia Motors, the California Lottery, Universal Studios and MGM Resorts (Monte Carlo and New York-New York). David&Goliath was named 2011 Small Agency of the Year (with 76 to 150 employees) at Ad Age’s Small Agency Awards. November’s second annual Garagiste Festival offered more than 1,000 attendees tastes of more than 30 varietals during its four-day run, and for the second year in a row, raised $10,000 for Cal Poly’s Wine & Viticulture program. The temperatures during Saturday’s main tasting were a tad lower this year than during the debut event in 2011, which helped chill the whites but, according to some guests, made getting sufficient aromas off red wines a bit more difficult. Amy Butler of Ranchero Cellars, who was awarded the ‘Spirit of Garagiste’ honor, was described by festival co-founder Stewart McLennan as “essentially as a one-woman show, hand-crafting some of Paso Robles’ best wines. The Spirit of Garagiste Award is dedicated to the winemaker who best exemplifies the do-whatever-it-takes spirit of the small-lot winemaker (or garagiste), while also producing excellent wines. Butler, featured in the festival’s Emerging Varietals seminar, operates Ranchero Cellars, which is named for her 1960 Ford Ranchero. She is committed to making small batches of wine using unique varietals, and is famous for her ability to wrestle Carignane — which has a reputation as a “wild and uncivilized” varietal — into the bottle with extraordinary results. Viognier is another favorite of Butler’s, which she produces both as a blend and on its own. Dr. Jim Cooper, director of Cal Poly’s Wine & Viticulture program, expressed gratitude for the second $10,000 donation — in 2011, the debut Garagiste Festival raised the same amount. November’s second annual Garagiste Festival in Paso Robles was dedicated to producers who focus on as few as a couple hundred to 1,200 cases each year. The college’s Wine and Viticulture Program includes nearly 300 undergraduate majors, making Cal Poly’s among the largest programs in the country. 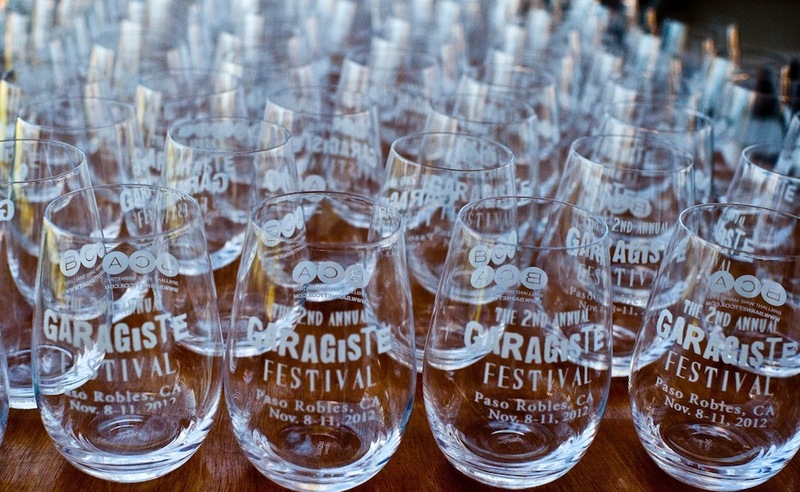 The festival, produced by Garagiste Events, is the nation’s sole occasion dedicated to showcasing artisan garagiste winemakers — those who produce fewer than 1,200 per year, and, perhaps by default, buck winemaking traditions and focus on the simplicity of winemaking. Organizers said that 70 percent of the festival’s attendees reside outside of San Luis Obispo County, coming from states as varied as New Jersey and Georgia and as “far afield” as Australia. “This year’s sold-out events — and our tasting series leading up to the festival — provided wine lovers the opportunity to not only get acquainted with some of the best small-lot, handcrafted wines this nation has to offer, but also meet the winemakers who make them,” said Doug Minnick, co-founder of the Garagiste Festival, in a news release. The event included a winemaker dinner with top chef Ludo Lefebvre, held at Thomas Hill Organics; a winemaker mixer at the tasting room of last year’s Spirit of Garagiste award winner, Vines on the Marycrest, as well as seminars on syrah and emerging varietals; a winemaking symposium held at Vintner’s Vault, and finally, the pouring of more than 48 wines at the festival’s Grand Tasting at Windfall Farms’ Stallion Barn. The winemakers who poured at the festival included Aaron Wines, Alta Colina Vineyards, Ambyth Estate, Anglim Winery, Argot Wines, Barton Family, Bodega de Edgar, Bodegas M, Bon Niche Cellars, Caliza Winery, Cayucos Cellars, Center of Effort, Changala Winery, Cloak and Dagger Wines, Cutruzzola Vineyards, Edmond August Wines, Filipponi Ranch Cellars, Giornata, Ground Effect Wines, Henson Wines, J Dusi, Jacob Toft, JK Wine Company, Kaleidos Winery, La Filice, Les Deux Chats, Liquid Farm, Luminesce, Nicora, Paix Sur Terre, Paso Port Wines, Per Cazo Cellars, Pipestone Vineyards, Ranchero Cellars, Rangeland Wines, Red Zeppelin Winery, Rendarrio Vineyards, Sinor La Vallee, St. Hilaire, Stage Left Cellars, STANGER Vineyards, Thomas Alexander Wines, Two Shepherds, Vin Alegre, Vines on the Marycrest, Von Holt Wines, Westberg Cellars and Zin Alley.